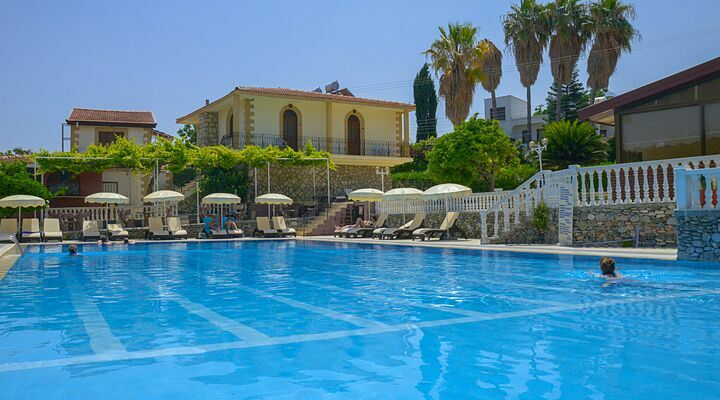 Riverside Garden Resort is situated in the delightful countryside, set on the gentle slopes of the mountains behind Kyrenia, and only about a 10 minute drive from the nearest beach. 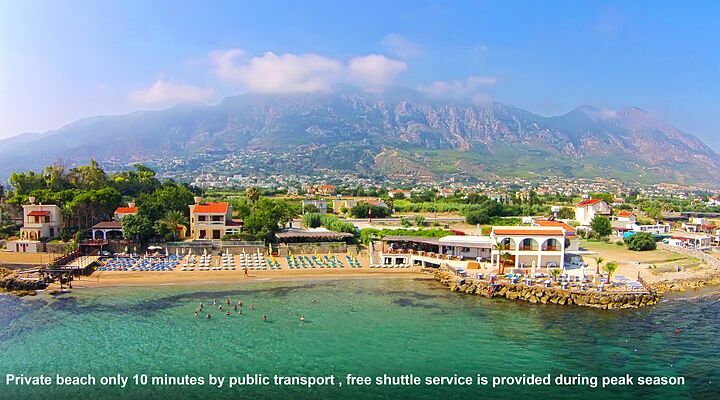 There are many facilities here to keep you occupied, and some holidaymakers may choose never to leave the village with so much to enjoy. 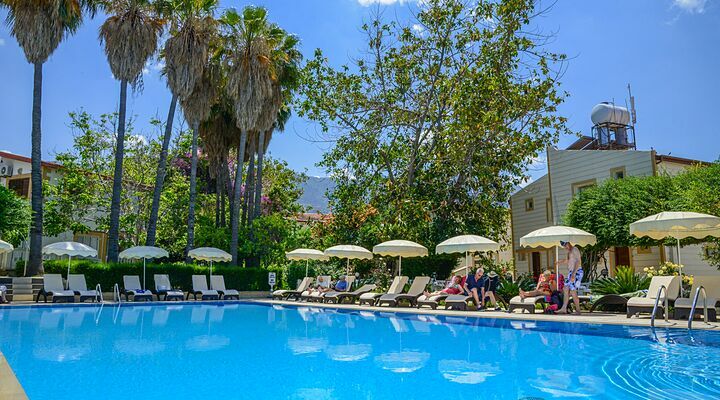 For its size, there is a wider range of attractions than you might expect, and the overall impression of the village is that it is well run and is well maintained. 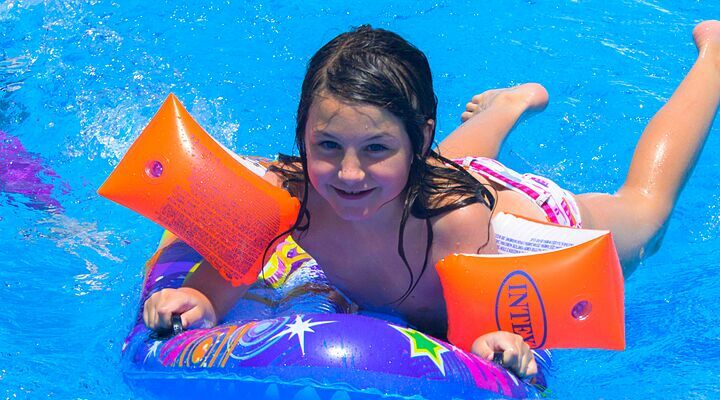 The Aqua park is great fun for the children, whilst in the grounds the main pool area is more relaxing and restful. Do not miss having a drink in the English style country pub! 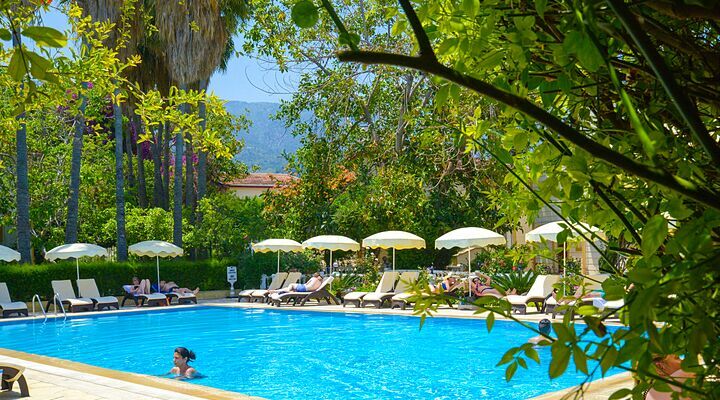 This is a holiday centre which happily caters for all tastes. Riverside Garden Resort is well named, with little villas dotted across the eight acres of garden, filled with the heady scent and vibrant colours of flowers and fruit trees. 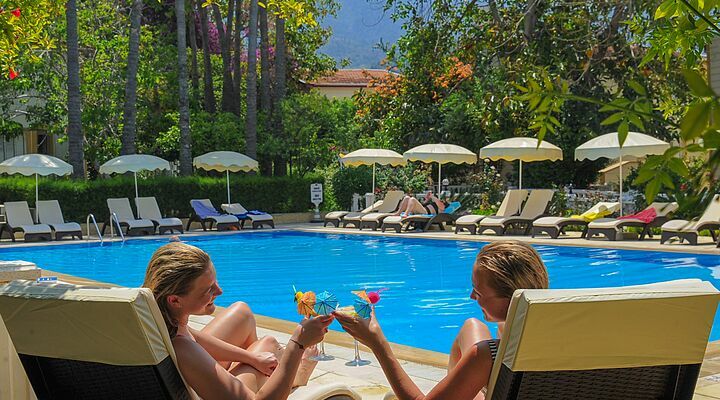 This family-run resort is a great place to sit back, relax, and do practically nothing all day long! 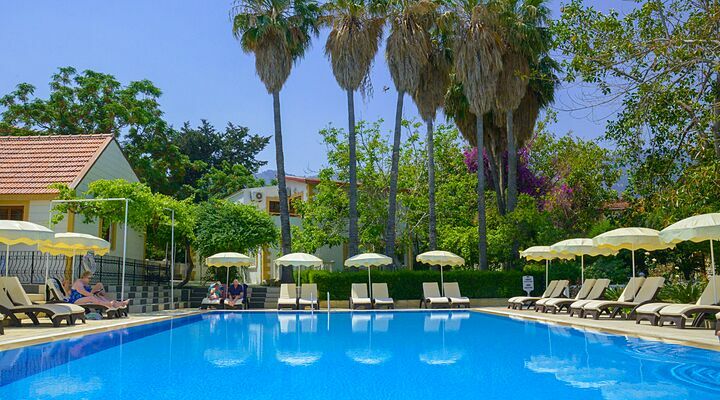 The new rooms at the Riverside Garden Resort are large, nicely furnished and have everything you'd expect from a new hotel in North Cyprus . 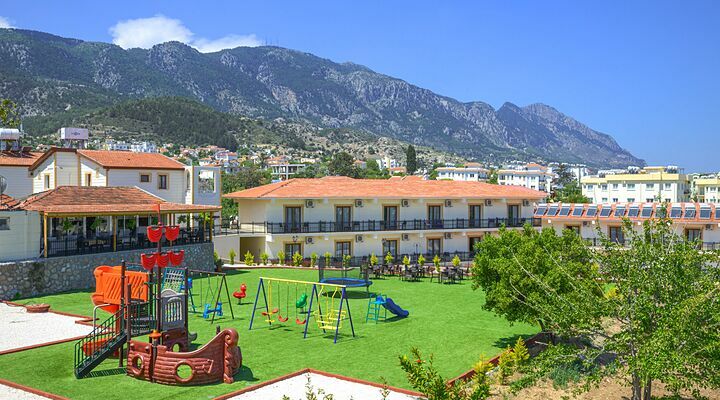 You'll find efficient air-conditioning, satellite TV, mini bar, and those two holiday essentials, a kettle and WiFi! Your en-suite bathroom has an amazing hydro-massage shower that'll make you want to sing with excitement in the mornings, and a balcony that invites you to sit and relax in the sunshine. 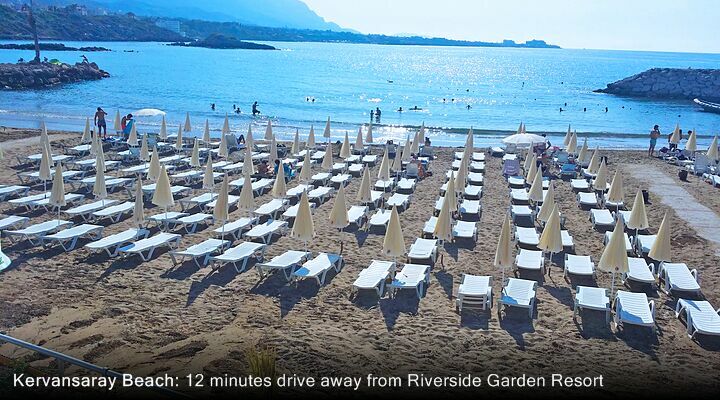 Need to know more about the Riverside Garden Resort? 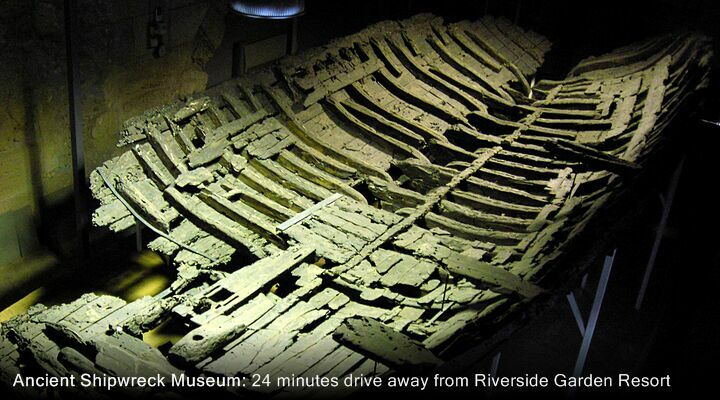 Read on, or call the GNC team on 0800 612 6600 - calls are free from UK landlines. Wander through the gardens to discover your own private one-bedroom villa tucked amongst the shrubs. 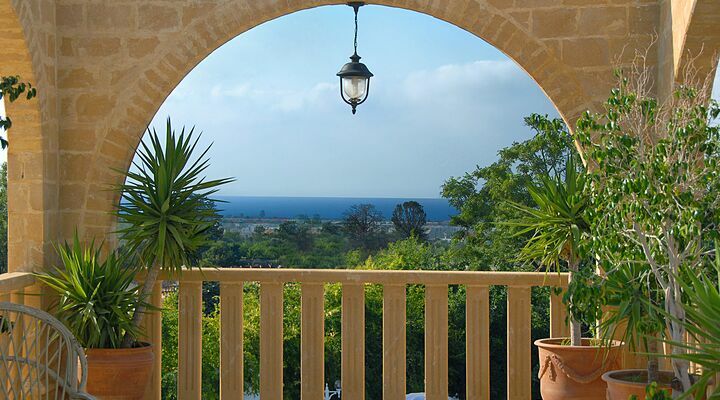 Open the door into a clean, air-conditioned lounge/sitting room, with your own private balcony or terrace, and en-suite bath or shower. Some villas are all on one level, while other are duplex, with the bedroom in a galleried area above. 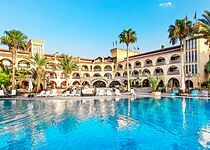 Villas don't have WiFi but the lobby area does, so just pop across to the main hotel check your emails or post your pictures home. The Riverside Garden Resort aims to please with a variety of menus to enjoy, including the option for a full English breakfast. You'll be spoiled for choice for the buffet dinner, with lots of dishes to choose from, and an à la carte menu that includes Cypriot dishes and vegetarian options too. 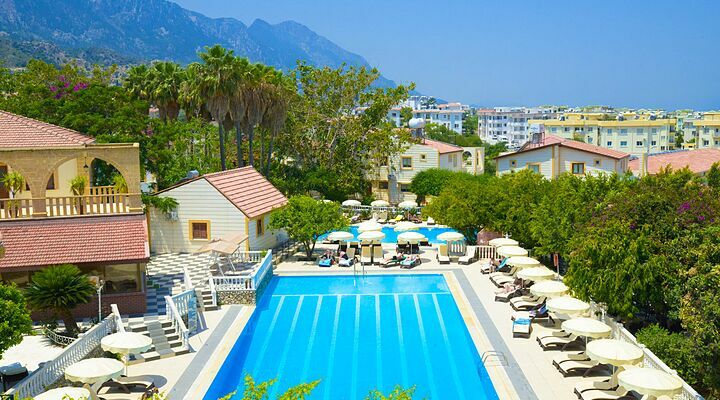 At lunchtime, the pool is the place to be, where all the family can enjoy those holiday foods we all love - burgers, pizza and kebabs, all served with ice-cold drinks. In the evenings, join other guests to admire the views and discuss your day's adventures in the Ranch bar, complete with open fire in the winter. 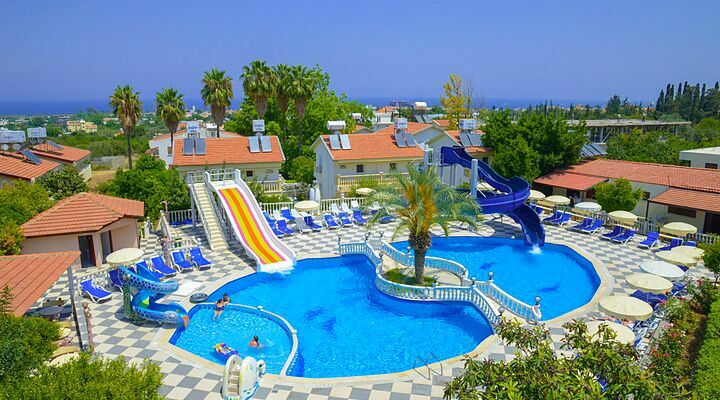 Not everyone wants to share a swimming pool with excited children, so the Riverside Garden Resort has designated one of their three swimming pools as adults only. 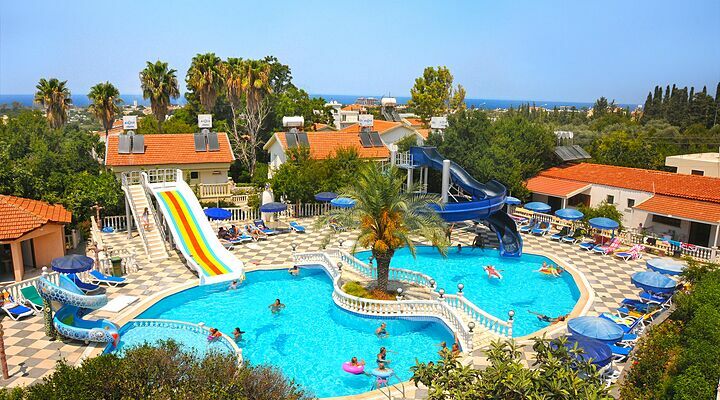 Trust us, the kids won't care - they'll be far too busy enjoying the pool with its waterslides! 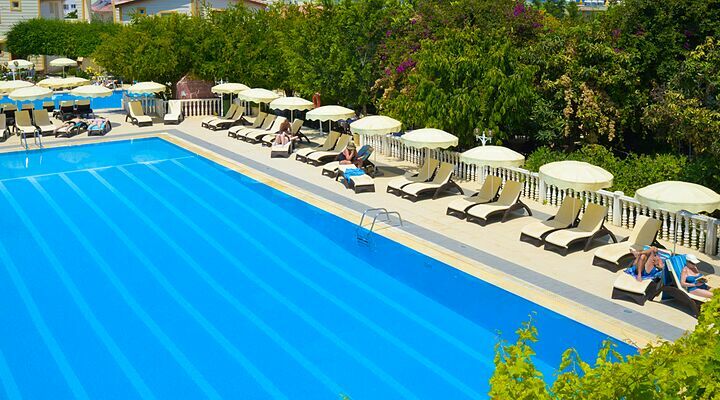 The third pool is half Olympic size, so you can work up your lengths over the holiday! 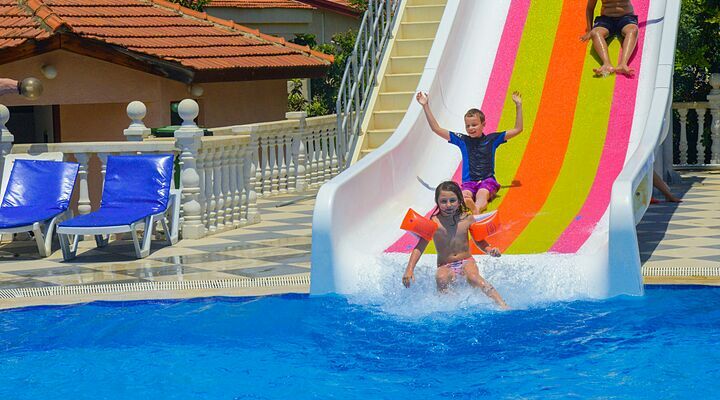 The Riverside Garden Resort is a great place for families to enjoy their holiday together, whether splashing about in the pools, racing each other down the slides, or playing in the children's playground. There's also a tennis court, volleyball and basketball for older kids, and horse riding (chargeable) for any pony-mad young people. 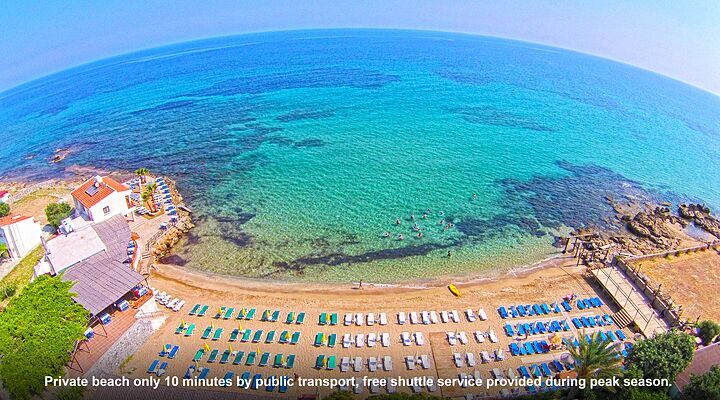 Why not take them for a day out at the beach, with free entry and the hotel shuttle bus saves you a hot walk home afterwards. 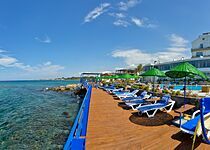 Everyone can enjoy the live entertainment nights, including live music, Cypriot nights and karaoke. For a night out without the little 'uns, the hotel will arrange babysitters for you - just ask at reception. 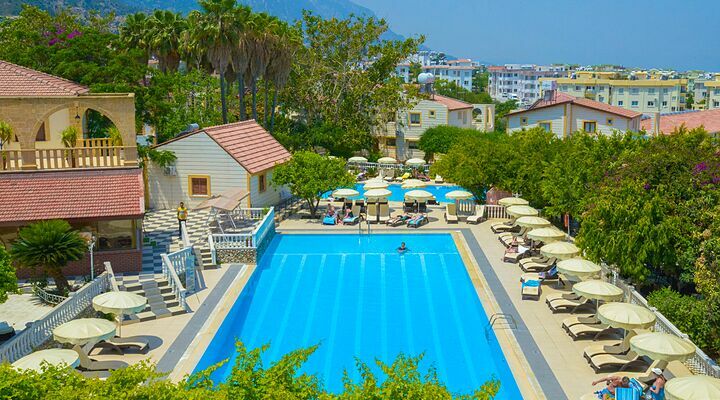 The Riverside Garden Resort is set just above the village of Alsancak, a lively village with several good restaurants and shops, including a supermarket. 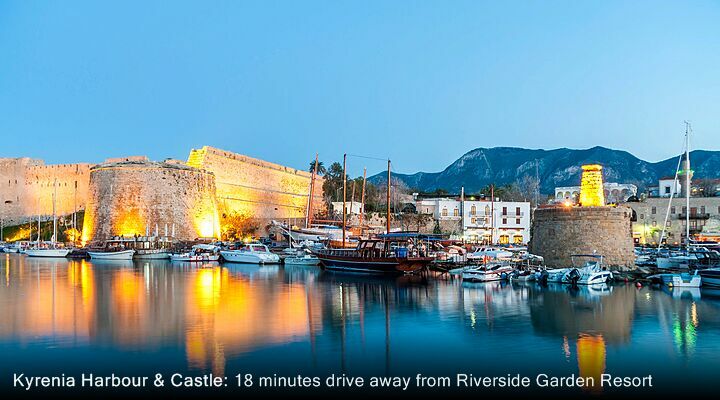 Wander down here in the evenings for a taste of real Turkish Cypriot hospitality. 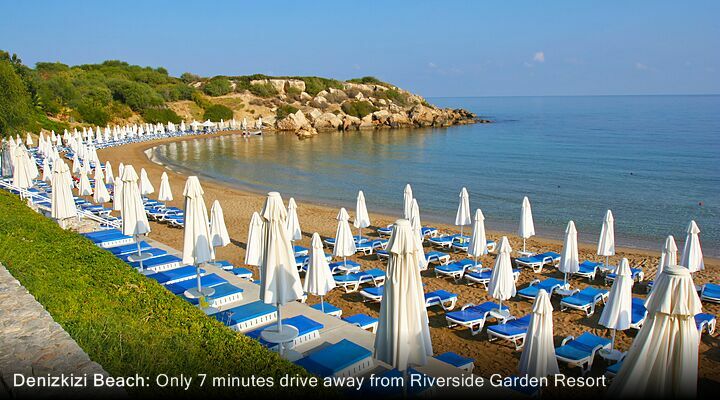 Or, head for the Incirli Beach in Lapta, where Riverside Garden Resort get free entry, free sun lounger and parasol hire. 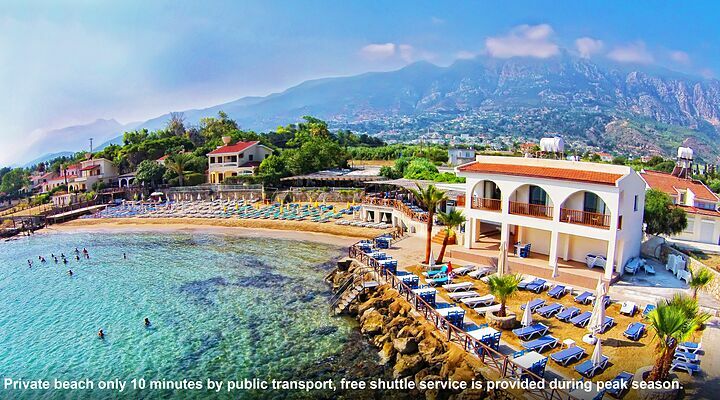 Walk or catch the hotel's free beach shuttle bus for a great day beside the sparkling Mediterranean Sea. 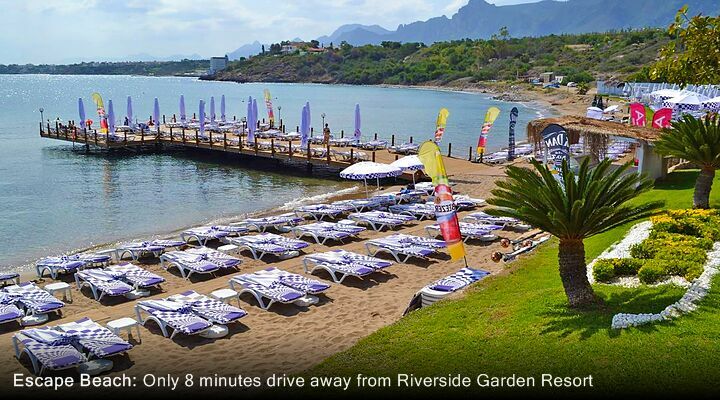 The Riverside Garden Resort is just a 45 minutes transfer from Ercan airport, or a 1 hr 25 minutes transfer from Larnaca airport including a border crossing.